CityScape Phoenix is a high-rise mixed-use development in Downtown Phoenix consisting of residential, retail, office, and hotel components. The development covers three city blocks in the heart of Downtown Phoenix and is located between First Avenue and First Street to the west and east, and between Washington and Jefferson streets to the north and south. A portion of the development was built on the land formerly occupied by Patriots Square Park through a redevelopment agreement with the City of Phoenix. It is centrally located in the heart of Downtown Phoenix, within walking distance of Talking Stick Resort Arena, Chase Field, Comerica Theatre, the Orpheum Theatre and the Phoenix Convention Center. CityScape hosts a number of major events throughout the year, including the CitySkate Outdoor Holiday Ice Rink in the winter, the starting line for the P.F. Chang's Rock n’ Roll Arizona Marathon, the main stage for the Viva PHX Music Festival, and more. Phase I of the development consists of a 27-story Class A office tower. The tower houses a number of corporate offices and law firms, including major tenants Alliance Bank and United Healthcare. The office tower is also home to the corporate headquarters of RED Development, the owner and developer of CityScape Phoenix. The adjacent high-rise tower has a dual purpose. The first 10 floors of the tower houses the 242-room boutique Kimpton's Hotel Palomar Phoenix. Hotel Palomar opened in July 2012. Floors 11 through 24 house the CityScape Residences. The Residences offer 224 luxury apartments with penthouse units gracing the top floors. In addition to street parking, CityScape offers two underground garages, one under the office tower and one beneath the retail (west) block, and valet parking. CityScape is located on the Valley Metro Rail with stops located at the intersections of Washington Street and Central Avenue, as well as Jefferson and 1st Avenue. In February 2012, CityScape received a DREAMR Award. The Downtown Phoenix Partnership honored people, projects and businesses that are helping revitalize Downtown Phoenix. CityScape Phase I won a Best of 2010 award in the Office category of the Southwest Contractor’s annual awards competition. ^ "Yelp map". Yelp. Retrieved 26 March 2012. ^ "NRG Ice Rink information". Cityscapephoenix.com. Archived from the original on 14 July 2011. Retrieved 26 March 2012. 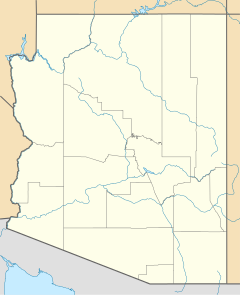 ^ "Arizona: Event Details". runrocknroll.competitor.com. Retrieved 26 March 2012. ^ "CityScape Directory". CityScape. Retrieved 23 March 2012. ^ "CityScape Parking". CityScape. Retrieved 23 March 2012. ^ "DREAMR Awards". DowntownPhoenix.com. Retrieved 27 March 2012. ^ "Office category". Southwest Contractor. Archived from the original on 27 May 2012. Retrieved 27 March 2012. This page was last edited on 11 December 2018, at 15:57 (UTC).